It's been raining and raining and raining. It could be my fault. 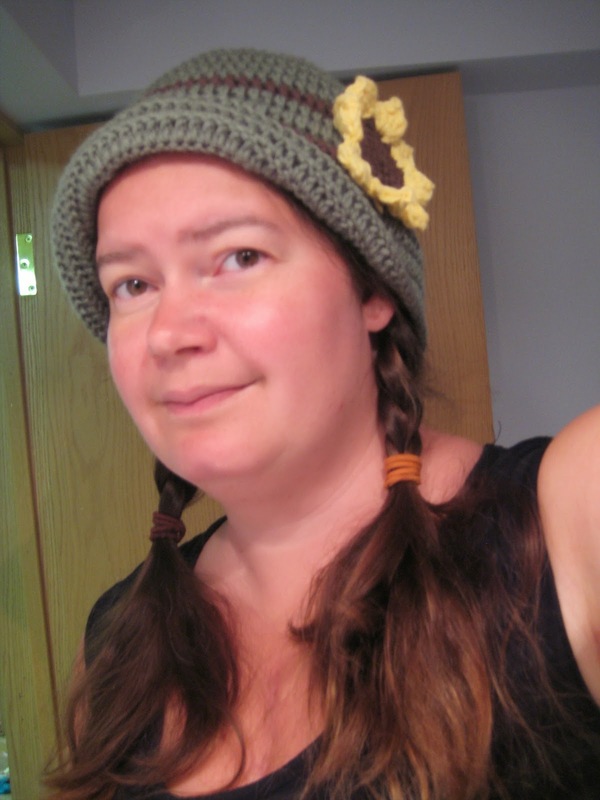 I crocheted this little beauty. I finished it on June 8th. I've only been able to wear it twice since. Cuz it's been raining. EVERY. DAY. Anyhoo... 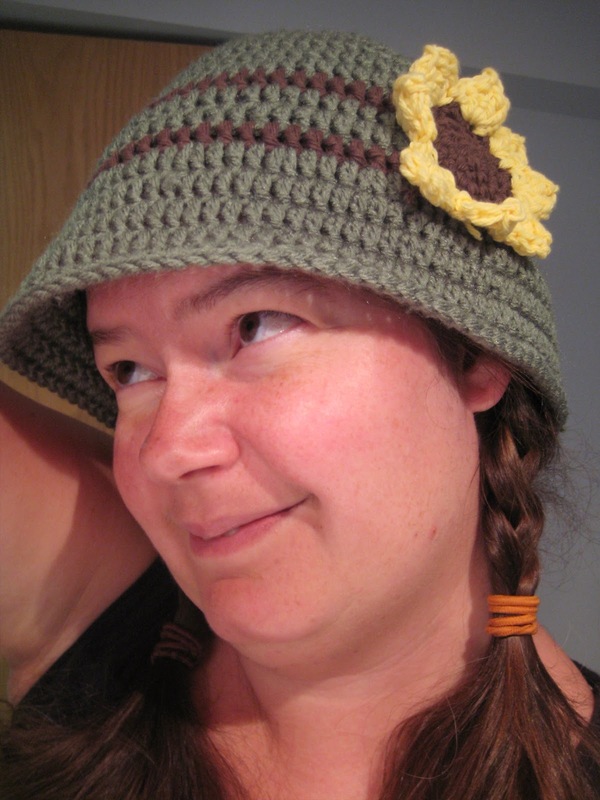 I used this free pattern for the hat and this free pattern for the flower.